How to select the right domain for your website? 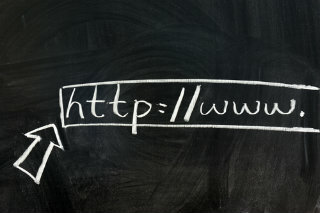 Selecting an effective domain name is vital. Driving traffic to your website is critical and an intuitive domain name will increase profits, so it's prudent to stay focused on the criteria for choosing a great website domain name. How to Find the Most Popular Keywords? Determine the top five keywords your potential customers are likely to use when searching for your product or service. Find at least five words that best describe the domain and then create combinations. Place descriptive words in pairs or add suffixes and prefixes to create a descriptive domain name that best suits your business. You can use Google AdWords Planner to determine the most popular and powerful keywords for your business industry. Is Your Domain Name Original and Unique? Do several searches to ensure that your chosen domain name is innovative and unique but still describes your product or service. You don't want your site to be confused with a competitor's website. Avoid replicating domain names with alternate spellings, plurals or hyphenated versions of existing domain names of companies selling the same products. Your customers could be led to their website instead of yours. Opt for a .com domain name rather than a .net or .org website name. This is important over the long term if you want to drive traffic, build your brand or ensure name recognition. Opt for a domain name that is easy to recall, even when it's not at hand, easy to search for and easy to type. Avoid alternative spellings of common words. When reading or hearing your domain name it should be possible to guess what your business sells or the service it provides. It's important to ensure that your domain name is as descriptive as possible. Names like Autotrader, Hotmail and WebMD are perfect examples of this. Ensure that you're not violating another company's copyright with your domain name. Kommand.me team can help you to select a powerful domain name and assist you in obtaining it. Contact us today and find out more.